Whether you are baking or deciding what to use for your next aromatherapy session, peppermint is one of the most common choices available. Some recipes call for peppermint extract while some call for peppermint oil. Is one a substitute for the other? What is the difference between the two? Peppermint oil is an essential oil made purely from the peppermint plant. It is a concentrate produced by exposing the plant to high temperatures, which causes the oil to evaporate from the plant’s leaves and stems. The oil and steam in the vapor are then separated so the pure oil can be collected. Because this is a pure concentrate, peppermint oil is very potent and has an intense flavor. In baking, only a little of it is needed to get the desired peppermint flavor. Because it is oil, it does not evaporate quickly when exposed to high heat in baking. Peppermint oil is not just used as an ingredient in baking. It is used in the form of capsules to treat irritable bowel syndrome and indigestion. Some topical creams and ointments also contain peppermint oil to heal rashes and insect bites. On the other hand, peppermint extract is not purely peppermint. 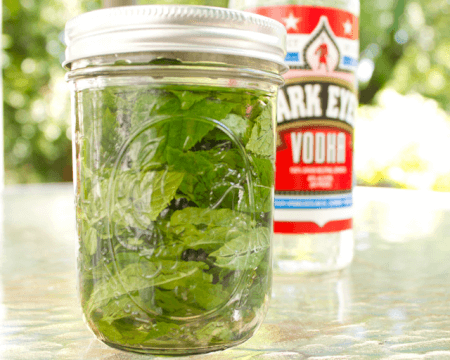 It is made by soaking peppermint leaves in alcohol, which extracts the peppermint flavor from the leaves. If a peppermint plant is not available, you can simply dilute peppermint oil in alcohol to make peppermint extract. Peppermint extract is not as potent as peppermint oil, which is why it is a better choice when it comes to baking and making candies like mints and candy canes. However, since it also contains alcohol, it quickly evaporates when exposed to high temperature. When the alcohol evaporates, the peppermint flavor goes away, too. Moreover, peppermint extract is used in peppermint teas and as treatment for colds, flatulence, cramps and headaches. It is also used in shampoos and soaps because of its relaxing scent. What, then, is the difference between peppermint oil and peppermint extract? Peppermint oil is a pure essential oil collected after exposing the peppermint plant to high temperatures. Peppermint extract, on the contrary, is made by diluting peppermint oil in alcohol or by soaking peppermint leaves and stems in alcohol. Since peppermint oil is pure concentrate, it is four times as potent as peppermint extract and has a more intense flavor, so it should be used in little amounts. It also does not evaporate quickly in high temperatures, unlike peppermint extract which evaporates fast due to its alcohol content. 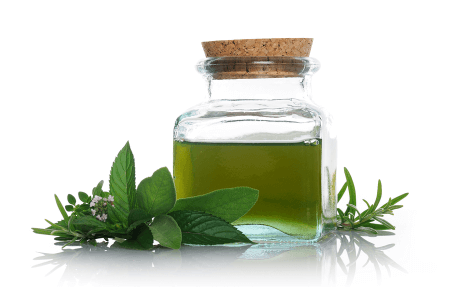 Peppermint oil is used in topical creams for the treatment of rashes and bites, and is also used in capsules to treat IBS and indigestion. Peppermint extract can simply be diluted in water to make peppermint tea, which is an effective treatment for colds, cramps, flatulence, and headaches.